So, spring cleaning is something we've all been working on over the last few weeks...right? While I'm doing my best to keep our house tidy, it's just not happening lately. I've been trying to tidy up in between class and having to work on upcoming projects and tons of homework but right now the house is uhm, a little less than clean. The good news is I know what it takes to make my house "clean" in a hurry. I'm not just saying you should start stuffing laundry into your closet, which I've done (even as an adult); Don't judge me! But I am sharing how I tidy up my home in a hurry when I have unexpected guests phone that they are on their way. Whether you are a professional "quick cleaner" or you like to keep an organized and tidy house all the time, today I am going to help you out by sharing a few ways you can make your house look, feel, and smell clean without much effort. Looks Clean after you tidy up the three T's. Clean off your table tops, scrub your toilets, and sweep (or vacuum) the areas of your flooring that have high traffic. We're all guilty of stacking magazines, mail, or sometimes just junk around the house - clean that stuff off of your table tops and you'll notice a huge difference! Scrubbing your toilets is super important. When a guest uses your restroom, you definitely don't want them to get grossed out. This simple step only takes a few seconds but can completely change the way your restroom looks to your guest. Sweeping or Vacuuming your entry way, kitchen, and living room only takes a few minutes for most people and it makes a huge difference (especially for those with kiddies or pets)! While vacuuming your whole house should definitely be on your to-do list. 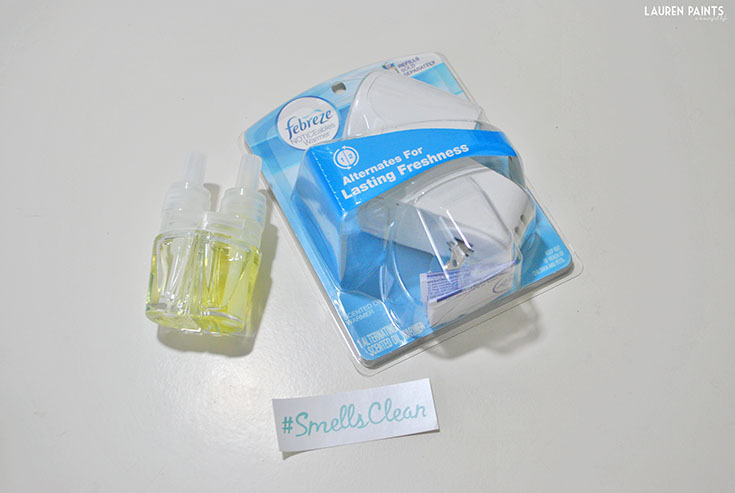 As we all know, a house isn't really clean until it #SmellsClean. 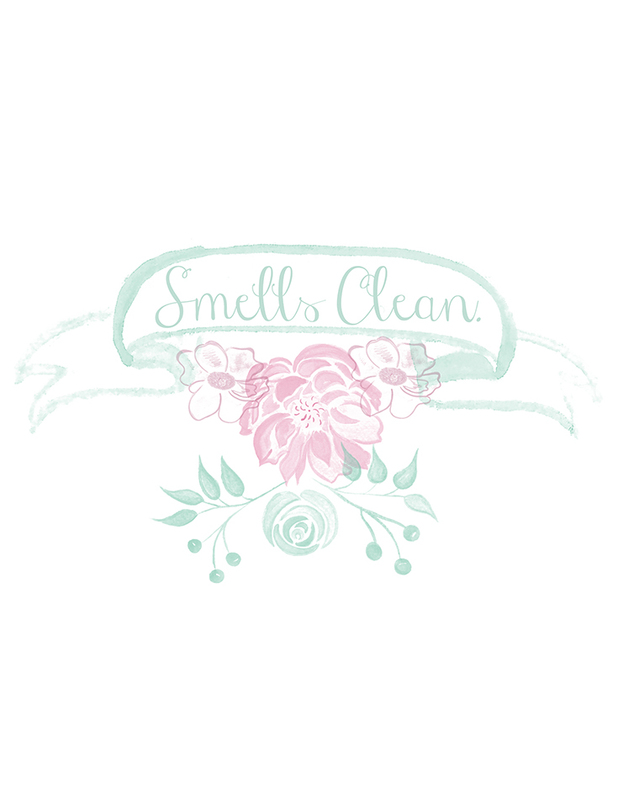 While your home (hopefully) has a clean scent already, I like to use some amazing products that help to make my house smell ridiculously good! 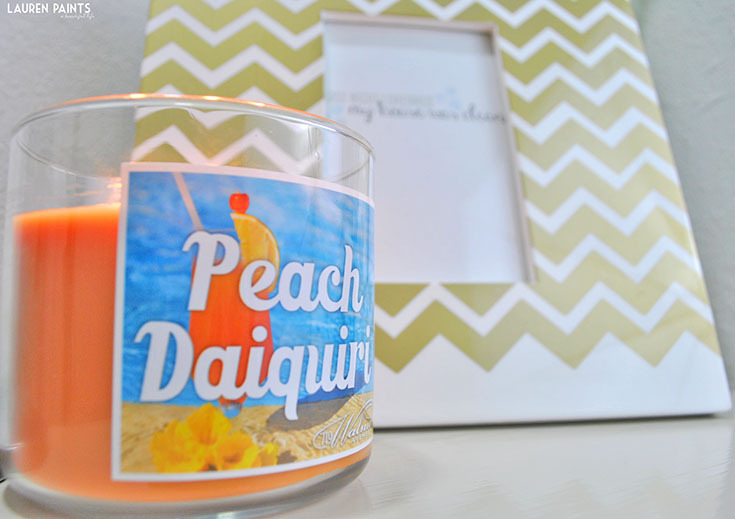 I've been burning my Peach Daiquiri candle from 719 Walnut religiously lately. 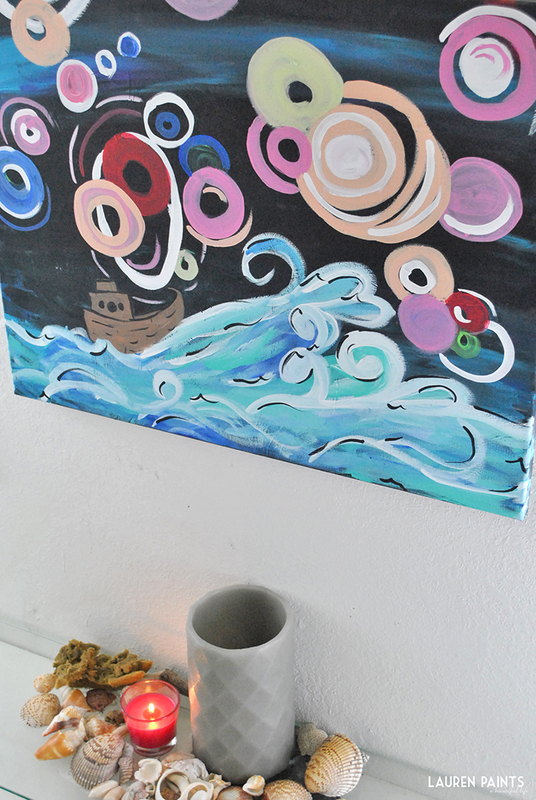 Especially because I'm so busy that I haven't been able to indulge in a whole lot of beach days or daiquiris; while this candle isn't the exact same experience, it helps me feel a little closer to my favorite place in the world! I can only imagine what the Tahitian Escape or Tiki Colada scents smell like, but those are definitely on my list to buy next! 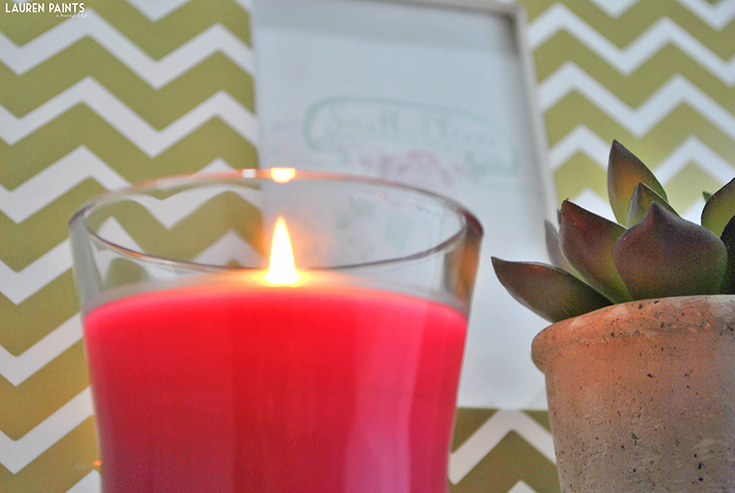 Placing candles in your office is the answer to a cleaner smelling home in general: Whether you decide to inspire creativity with a new candle in your office (like Glade's new perfectly colored and scented Poppy Grove candle), or comfort yourself in your bedroom with a candle offering a soothing scent to help relax you before drifting off to dreamland, or even if you decide to mask smelly scents in your kitchen with something delicious and deceiving, candles are an awesome way to make sure your house smells clean without much effort at all! 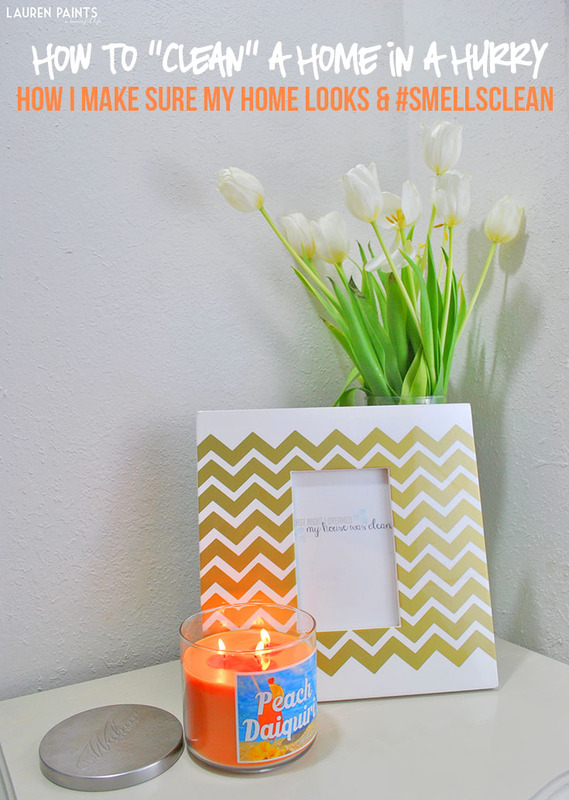 While I've always been an avid candle burner and hold true to my candle burning ways, this spring I've also started using plug-ins around the house and I highly recommend you do the same! 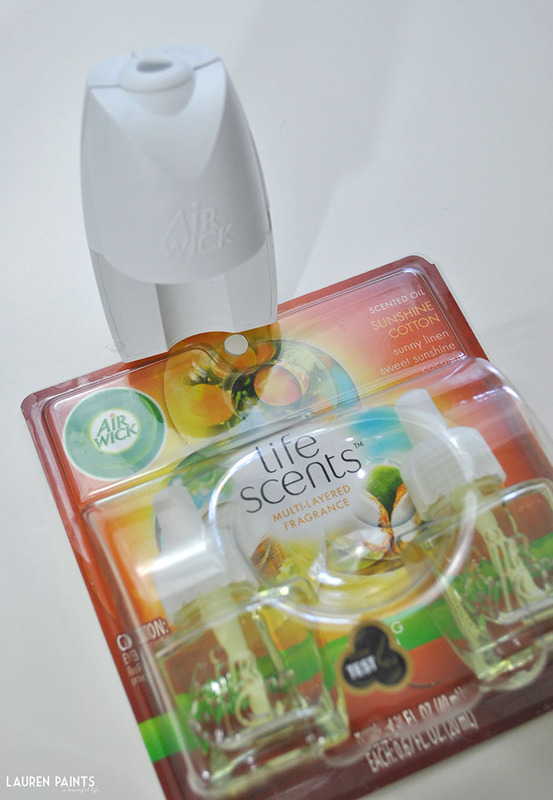 I'm totally obsessed with the scents I've been using! 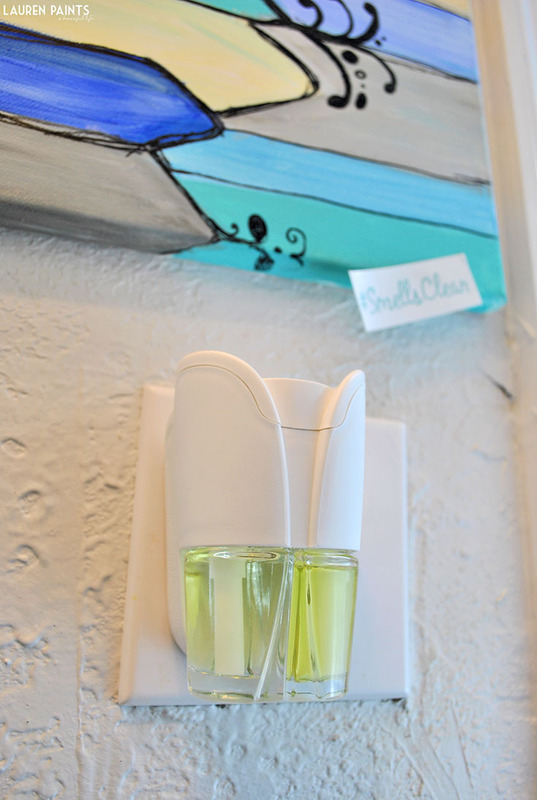 One of the plug-ins is a Febreeze NOTICEables Warmer and it offers a sense-exciting double scent of Strawberry and Fig and makes my half-bath in the lower level of our townhouse smell beyond amazing. The other plug-in is AirWick's Sunshine Cotton and literally makes my entryway smell like a mixture of heaven and freshly laundered clothes! While both of these options are awesome, my last tip may be the easiest of them all. 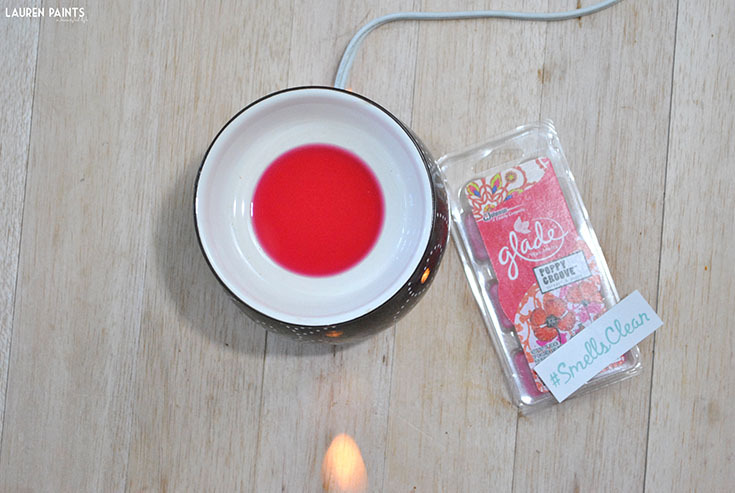 You literally only need to flick a switch and place a cube into the tray to make your house smell clean with these Glade Poppy Grove Wax Melts! While I'm not suggesting you skip spring cleaning in general, I hope these tips to spruce your place up in a hurry help you out! 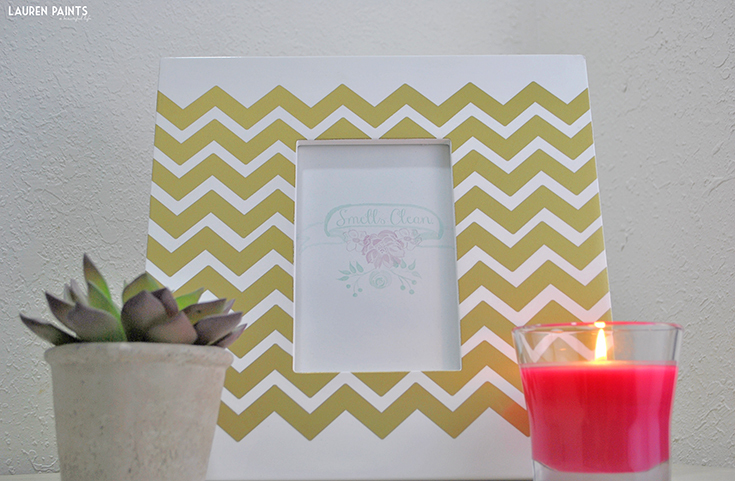 I had friends share what they thought of our house, they all agree it smells clean... so don't forget to head over to the air care aisle to grab everything you'll need for a nice, deceivingly clean home! 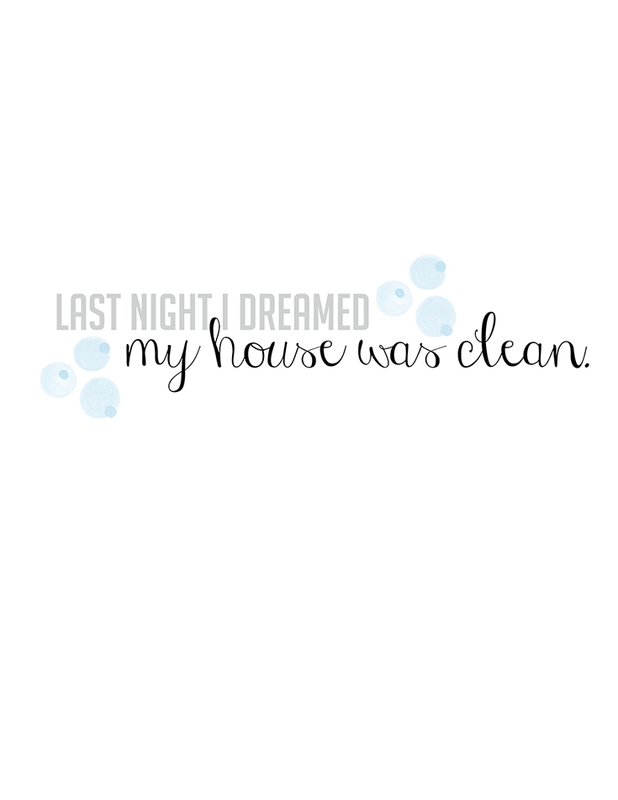 Now that I've shared my tips to a tidier house in a hurry and these super cute printables, I'd love to hear what your last minute cleaning routine looks like?